South Beach has many first class spas to choose from. Many of them are located inside the trendy luxury Miami Beach hotels. Some of these incredible spas are on the rooftop of the beautiful hotels with incredible views of South Beach and Downtown Miami. They all have distinct differences in style and ambiance with individual specialty treatments. 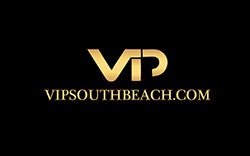 After being is the South Beach sun all day and dancing till dawn in the chic South Beach nightlife relaxing in a Zen oasis and having a amazing massage is just what your body needs. Here are a few of the amazing spas in South Beach and Miami Beach. Located in South Beach on the Delano hotel’s rooftop, Agua is a gorgeous sanctuary with cutting edge spa treatments that rejuvenate the body and soul. The rooftop has a private veranda style with 360-degree views. Agua is the ultimate haven for Spa treatments and also carries the SJAL product line. With ten spa treatment rooms, aromatherapy steam room and ocean views. This signature spa has many different massages like the Detox massage, couples massage and other rejuvenating treatments. The spa includes a gym for a body-shaping workout. Then you can relax with a cocktail on the spa deck. Spa reflects the city’s Art Deco district with the white subway tiles in the his and hers lounges and other touches in the steam rooms and Jacuzzis. The spa is an 18,550-square-foot facility with 16 treatment rooms. The Spa has a terrace with views of the Atlantic Ocean and a fitness studio. Lapis is nestled in the newly renovated Fontainebleau Hotel in Miami Beach. It has 40,000 square feet of energizing and rejuvenating therapies. With many treatment rooms for massages, body treatments and facials you will leave feeling energized and renewed. Lapis is a garden of Eden of heavenly treatments to relax you body and spirit. Spa that offers an elite menu of La Maison de Beaut’ Carita treatments alongside an extensive menu of European wellness and beauty rituals. Featuring 14-treatment rooms, luxurious relaxation lounges. The spa is home to the exclusive Astro Balance Massage; a unique massage treatment based on your birth date and astrological sign. 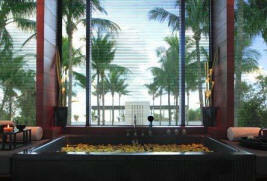 The Spa at The Setai carries the traditions of the Pacific to South Beach. The treatments open the door to a world dedicated to the restoration and realignment of the body and the spirit. Their exclusive, specially designed suites celebrate the personalization of their treatments for a unique spa experience. This 6,000-square-foot oasis of rejuvenation and relaxation embraces ancient traditions of beauty and cleansing within a setting of modern luxury. The spa offers a full range of distinctive European-inspired treatments. 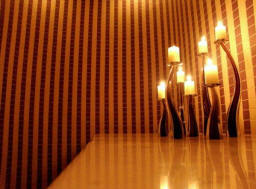 Chic ambience complements a menu of treatments steeped in European cultures and philosophies. Beautiful rooftop retreat offers 8,000 square feet of full-featured spa facilities. The Zen-like atmosphere soothes with stunning views. The spa features wet and dry treatment rooms, outdoor terraces and massage decks, and exclusive products. The exquisite surroundings and superlative pampering inspire balance and synergy.